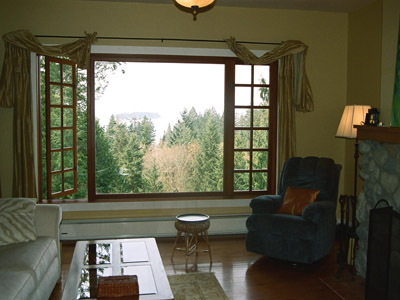 This beautiful country home, in the Arts and Crafts style, is located on the west side of Bowen Island and features a southwest view towards Vancouver Island. Spectacular sunsets can be viewed from the dining and living rooms and master bedroom. The huge deck provides complete privacy where the only intruders might be a family of deer. 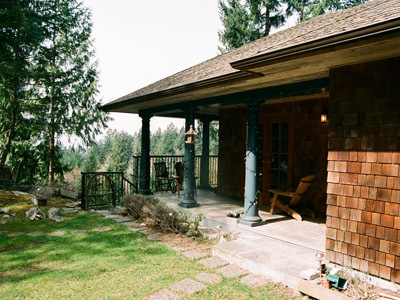 The covered porch is the perfect spot for entertaining guests or relaxing with a favorite book. 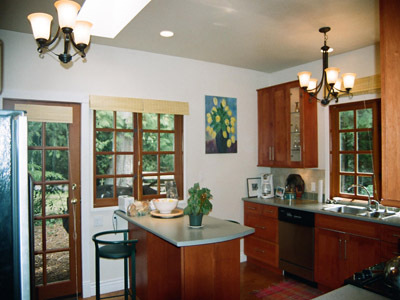 As you pass through the front door with its antique leaded glass window, you will see on your right a spacious kitchen. On your left is the dining room whose ocean view includes the occasional cruise ship. 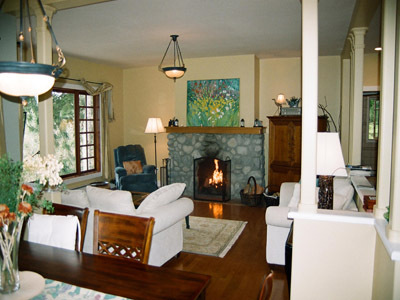 The living room comes with a wood burning natural river rock fireplace for those romantic evenings or family gatherings. On this floor also is the master bedroom and ensuite complete with a six-foot tub, a powder room and a utility room with washer and dryer. On the terrace level there are two bedrooms, a room for games etc plus another bathroom. 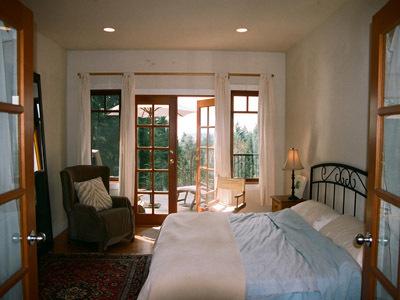 All of these rooms enjoy access to the deck through French doors. 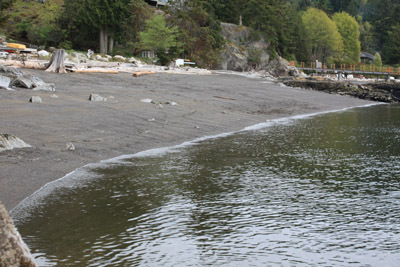 Access Adams Beach the best beach on Bowen is only a three-minute walk away. Bowen is a paradise for water enthusiasts of all kinds with sailing, power boating, canoeing,, kayaking and of course fishing and swimming. There are also many spectacular hikes and walks. For the mountain bike enthusiast there are numerous trails and a park with ramps etc. challenging enough for both novice and experts. The beautiful golf course attracts players from Vancouver and surrounding areas. 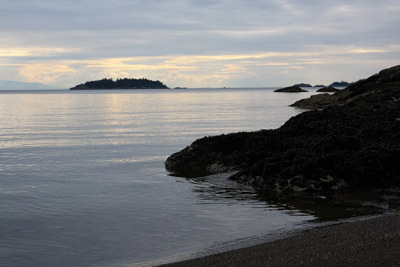 The island offers restaurants for a variety of tastes and budgets and specialty shops, organic foods, boutiques and art galleries can be found at Snug Cove Cates Hilland Artisan Square. Here you can purchase the wares of local artisans from gourmet chocolate to exquisite jewelery. 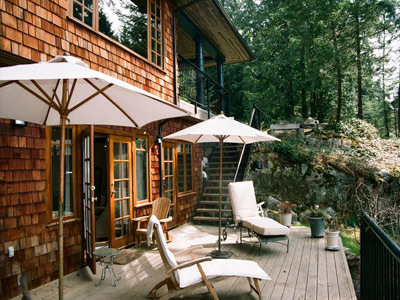 This special island, only a twenty minute ferry ride from Horseshoe Bay or a thirty minute water taxi ride from Granville Island in downtown Vancouver, is home to many world-renowned artist and writers. 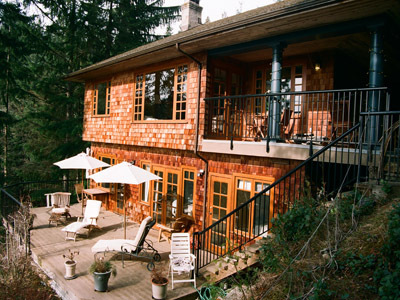 This country home will provide many happy memories of a time well spent while on vacation. The ground floor den has a portable double bed.